Voith®, Howden, American Standard, Nelson, and more. We're on call 24 hours a day, 7 days a week to perform on-site inspection, evaluation, corrective maintenance, and troubleshooting. 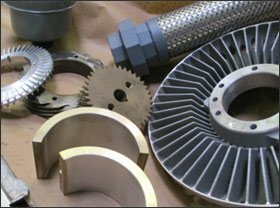 Thousands of replacement parts for fluid drives, ranging from bearings to rotors. Ready-to-ship: complete drives and major assemblies. 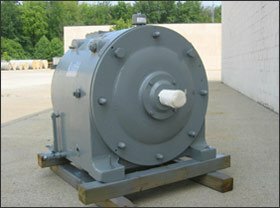 PowerFlow Engineering, Inc. is globally recognized throughout various industries as the most knowledgeable, reliable, and responsive company offering comprehensive maintenance services for variable speed fluid drives, torque convertors used as gas turbine starters and fix fill hydraulic couplings. Superior service and innovation since 1985 have earned PowerFlow Engineering, Inc. this proud reputation in industries such as power utility, oil and gas, paper, cement, shipping, mining, chemical and more. We are a solutions based company offering our extensive experience and knowledge to take care of problems that arise in an industry requiring immediate answers to critical needs. Our services are available both in the field and at our own engineering facility and include comprehensive maintenance programs as well as an extensive inventory of ready to ship parts and equipment. In addition, we have the unique ability to retrofit or rebuild any part or assembly. In short, if you have an equipment maintenance problem we can solve it; twenty four hours a day, seven days a week. PowerFlow Engineering, Inc. is in partnership with you to make certain that you experience less unscheduled downtime. PowerFlow Engineering, Inc. is a privately held company located in Westland, Michigan within easy access to Detroit Metro Airport and major highways. We are not affiliated with any of the named manufacturers. To provide customers with cutting edge, wide ranging and effective choices for service, parts and equipment for industrial variable speed fluid drives, torque convertors used as gas turbine starters, and fix filled hydraulic couplings. To be attuned to customers’ individual needs; providing competitive pricing and expert, knowledgeable assistance with a rapid response time. 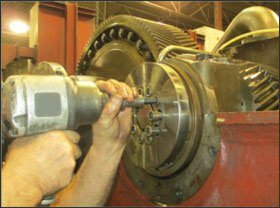 With over thirty years of experience in this industry, PowerFlow Engineering, Inc. is well regarded and highly respected for providing high quality, low cost solutions in repairing and maintaining our customers’ equipment. We are committed to this high standard of support and service; successfully working with Gyrol® Fluid Drives, Voith®, Howden, American Standard, Nelson and many more brands. 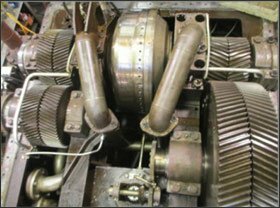 PowerFlow Engineering, Inc. employs highly skilled technicians to perform onsite or in house inspection, evaluation, corrective maintenance and troubleshooting. This team is available to our customers twenty-four hours a day, seven days a week. It’s our goal to have your equipment available to you with minimal disruption or downtime. In response to our customers’ needs, PowerFlow Engineering, Inc. has invested in reverse engineering many OEM parts for fluid drives including obsolete parts. In addition, our regular inventory of replacement parts ranging from bearings to rotors are available to our customers for fast shipping and are guaranteed to perform as well or better than original parts. We maintain an inventory of assembled, complete drives and major components available from our warehouse and ready to ship for immediate assistance in a downed operation. We will go to any length to assure that you are operational by the quickest means possible. In addition to emergencies; we have this equipment available for exchange, rent or lease (long or short term).